Our First Aid Course is appropriate for those who wish to learn how to provide first aid response, life support, management of casualty(s), the incident and other first aiders, until the arrival of medical or other assistance. This option is available to participants who currently hold a First Aid certificate that is about to expire. We are currently taking names for our next course. Please contact us to register your interest. We can also deliver this course on your site (conditions apply). Please contact us for details. 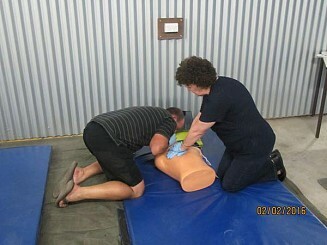 Participants must provide their current or soon-to-expire First Aid certificate if choosing the Refresher Course. 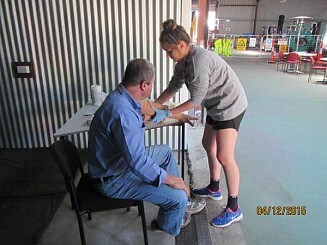 Participants are required to wear comfortable clothes as they will be required to demonstrate CPR & Defibrillation techniques on the floor. Participants should be able to comfortably get up & down from the floor. Participants are required to study the First Aid Study Guide & complete the First Aid Quiz Questions prior to the course. This puts everyone attending the course on the same base level of knowledge. The assessment process will include the gathering of evidence to demonstrate the student's competence. Participants will be advised of all required tasks that must be completed to achieve competence. The First Aid Quiz Questions are included as part of the assessment criteria. The assessments will include theory & practical tasks and will be clearly documented to ensure consistency of all assessments. Participants are required to complete a short multiple choice assessment at the end of the training delivery. 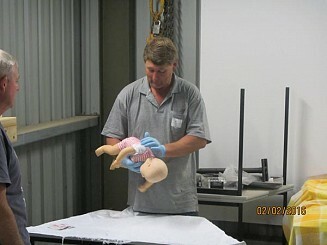 There are a lot of practical exercises included in both First Aid courses. On successful completion of these assessments, participants will be issued a Statement of Attainment for a nationally recognised unit of competency, and a photo ID Qualification Card. In line with Australian Resuscitation Council guidelines, first aid skills are recommended to be renewed at least every three (3) years, and CPR & Defibrillation skills every twelve (12) months to maintain competency. Please read our Information Handbook which lists our policies & procedures, student responsibilities, and other general information (e.g. cancellations & refunds, photo ID requirements). All of our courses require participants to provide Photo ID (e.g. Australian Driver's Licence, current passport, KeyPass, Proof of Age Card). If your photo ID does not have an Australian residential address listed on it, then you will need to bring your photo ID (e.g. non-Australian passport, non-Australian Driver's Licence) and also an official document stating your current Australian residential address e.g. bank account statement (with sensitive information blanked out), rent receipt, utility bill, Centrelink Card, etc. All Skills Services will take a copy of your photo ID and any other licences/cards that you bring to the course as part of our compliance requirements. 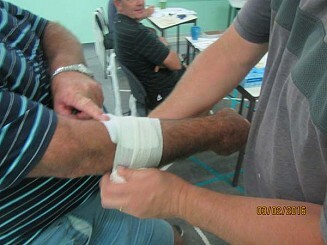 Particpants are required to bring their First Aid Study Guide & completed Quiz Questions to the course. Participants are required to provide a copy of their current or soon-to-expire First Aid certificate. "Conducted very well. It's good to be refreshed on this course. Some soft skills and knowledge gain. Awesome training." "Very informational and recommend to all as a life skill." " Another thorough course. Good work by the All Skills team. Thank you." "(The trainer) provided a wonderfully informative training day. It's knowledge that sticks." "The course was informative and gave me all the relevant information. (The trainer) is a fantastic trainer who teaches you all you need to know." 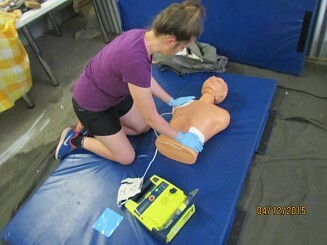 "Thank you (All Skills) for a very well presented First Aid course. See you next time - cheers!" "Fantastic course, packed full of information with a fantastic trainer." and we have access to other sites around Victoria.